The UK’s coastline weaves in and out of craggy inlets and sandy stretches totalling around 12,500km. And when the sun beats down on us weather-mad Brits we head to the shores like bees to lavender. But in our desperation to dip a toe in icy waters surely we should head somewhere clean and unpolluted. 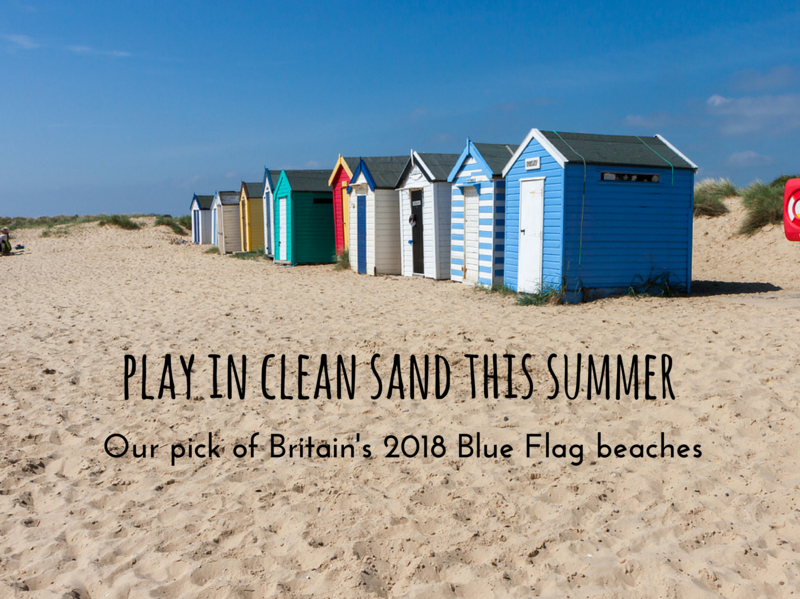 Thankfully, the Blue Flag status awarded to European beaches for both their cleanliness and provision of facilities means we don’t have to do too much research. And from the 169 UK beaches awarded Blue Flag status in 2018, we’ve handpicked a few of our favourites. If you want to be papped on the beach in your best bikini, the chances of it happening here are probably (see Suffolk) higher than anywhere else in the UK. Lovingly referred to as Britain’s Palm Beach, these white-as-British-sand-gets grains grace the coastline of Britain’s most expensive peninsula – Sandbanks. And with hot property comes high society (or rich kids of Instagram, depending on your generation and perspective). These (technically) golden sands stretch from Poole harbour to Bournemouth, are connected to Studland by chain ferry and have more than a handful of expensive restaurants and bars serving their peckish patrons. Polzeath is one of Cornwall’s top surfing beaches. If you’re near Wadebridge or Padstow you’ll likely head here one day but get here early to bag a spot in the summer months. Oh and check the tide times – there’s very little beach left at high tide. The surf is the main draw card but a cute seaside resort has grown around that audience and there are plenty of cafes, pubs and restaurants should you get caught out by the tide (or the rain). If you’re feeling brave, there are surf schools aplenty and if you get bitten by the bug there are more than a handful of shops to get kitted out in. It’s Southwold Pier that claims the fame around here – over 100 years old and recently refurbished, it’s quite the calling card for this traditional British seaside town. Meanwhile its county coastal neighbour, Aldeburgh, is currently riding on the coattails of Tom Hiddleston and Taylor Swift sauntering along the seashore. But without the prospect of paparazzi, Southwold’s pier, promenade and a beach that’s all shingley sand will have to suffice along with a healthy selection of tea rooms and the like. Dogs welcome? Mostly. But in the summer look out for sections of the beach that dogs are not allowed on. Predominantly sandy – you might have to skirt wave-swept clusters of pebbles and shells – Mundesley beach is said to be one of Norfolk’s finest coastal offerings. Good job really; it provides the perfect magnet for day trippers to this picturesque seaside town with its Victorian promenade and brightly painted beach huts. Pack your SLR for plenty of quintessential English seaside photography opportunities. One of seven bays in Broadstairs, this is the most northerly of them all. This sandy bay is perhaps best known for its rather dramatic chalk stack that appears to have detached itself from the main cliff – it creates one hell of a doorway! Vista aside, this is as good as any Kent beach for sunny days out with the kids. From our landlocked base here in Oxfordshire, West Wittering beach is oft recommended as the nearest sandy beach for a day out with kids. It’s about 1.5 hours’ drive to this West Sussex haven if you’re up bright and early with the larks we know as toddlers. And when you get there you won’t be disappointed. It’s sand, sand and more sand plus a healthy calf workout otherwise known as sand dunes to reach the flatter sandy plains. Come armed with buckets, spades and bathers. This is a great beach for a paddle and a dip if you’re brave. All you have to do is pack the SPF. See you there!